North London Paintball: 2 leading paintball centres in Hertfordshire! Delta Force Paintball North London is suitable for the whole family – adults, kids, males, females. Paintballing i’s also a fun activity to celebrate all types of special occasions, including birthdays and stag and hen parties! 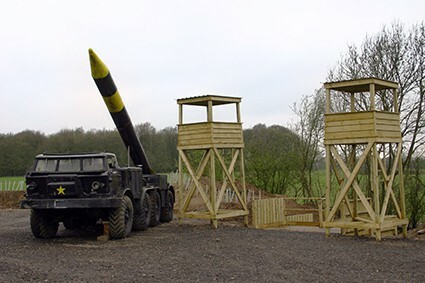 Our North West London paintball centre can be found on the beautiful Hertfordshire hills, on an old WWII American air force base. The venue offers guest unlimited parking on its huge Heathrow sized runway, and also uses other parts of the remaining infrastructure within the basecamp. The North West London paintball centre game zones include Mad Mad Murphy’s Jungle Attack where players need to help rescue an injured allied airman trapped somewhere deep inside the rainforest, Castle Wallenberg which involves mounting an attack against the enemy occupying a giant two storey fortress and the notorious Black Hawk Down which includes a crashed black Hawk replica helicopter for players to hide in and even featured in a recent episode of Eastenders! But, if that doesn’t quite take your fancy, why not visit our Watford paintball centre? Set in the beautiful Hertfordshire countryside and close to Hemel Hempstead town centre, this paintball venue has a lot to offer! 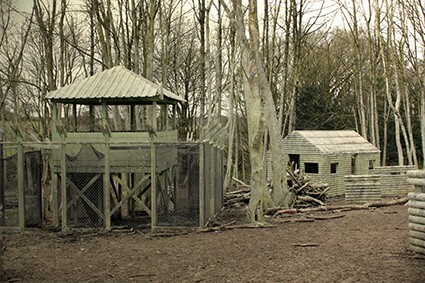 Featuring state-of-the-art paintball game zones such as A Bridge Too Far which includes several wooden bridges for players to capture, Castle Wallenberg which features a large two-storey wooden fort, Chemical Alley; a quick-fire game of speedball and Viet Cong Village where lots of angry villagers await. But, it’s not just your opponents you need to mindful of at our North London paintball centres… You’ll also have to watch out for the Delta Force Paintball Terminator! Armed with his BT4 combat paintball guns, the Terminator lurks in the woods, looking for a gunfight! If he decides to challenge you, he’ll raise his guns and point them in your direction. If you accept, all you need to do is point your guns back at him and open fire! Taking him on, one-to-one. Should you be deemed a worthy foe, the Terminator will give up one of his deadly paintball guns for you to use for the remainder of the game… It’s the only way you can get your hands on his weapons, so make sure you keep an eye out for him on the battlefield!